Bringing healthcare to the underserved has been a passion for Dr. Ritter. He has treated patients in Bosnia, Sri Lanka, and Honduras. In recent years, his focus has primarily been on the people of Haiti. 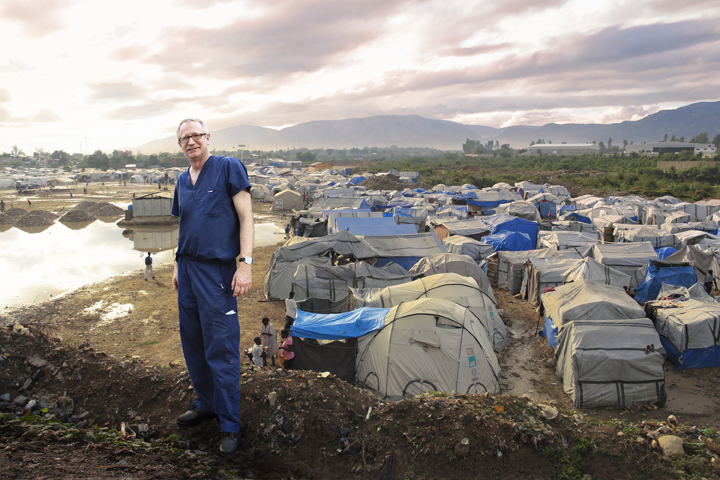 He was one of the few first responders after the devastating earthquake in January 2010, and Dr. Ritter has returned to Haiti several times a year to provide healthcare to patients in the remotest of areas. Dr. Ritter has been an integral part of the project to renovate the Haitian Dental School, introducing digital radiography and other current technologies to the students, and raising their curriculum to American standards. Dr. Ritter has received numerous awards for his international work including work closer to home near his Towson dental practice. In addition to his international work, Dr. Ritter has made several humanitarian trips to treat patients in post-Katrina New Orleans. He has also participated in annual Access to Care events at the University of Maryland Dental School. Defense Humanitarian Award and a citation from the Maryland Senate recognizing his work in Haiti. He was honored in October 2011 by the St. Norbert's Alumni Award. Dr. Ritter received the Arthur C. Fridley Humanitarian Aid Award sponsored by the Maryland State Dental Association in September 2015.